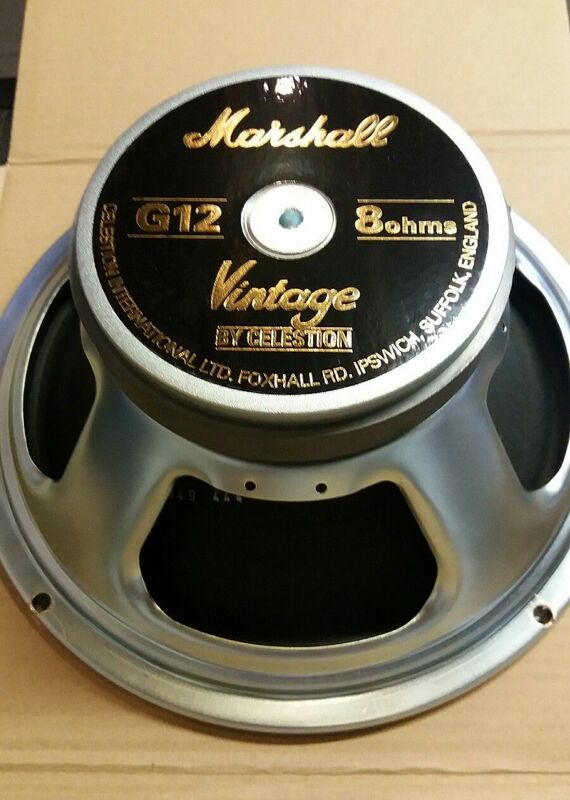 BRAND NEW Marshall Celestion G12 Vintage 8 Ohms speaker. VERY IMPORTANT – Please ensure you make note of the “Ohms” of your speaker or amp specification – it is not adviseable to use this speaker if replacing it for a 16 Ohm speaker or a 4 Ohm one. This is an 8 Ohm speaker and should only be used to replace a similar 8 Ohm speaker.